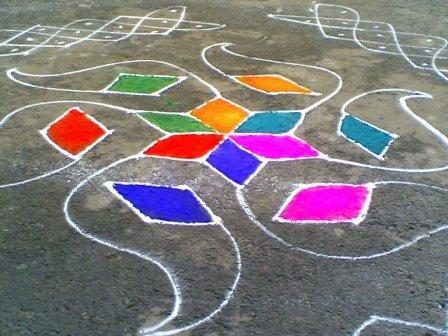 Rangolis are a form of folk art which are practiced in India during festivals and occasions. Rangoli Telugu name is muggulu. 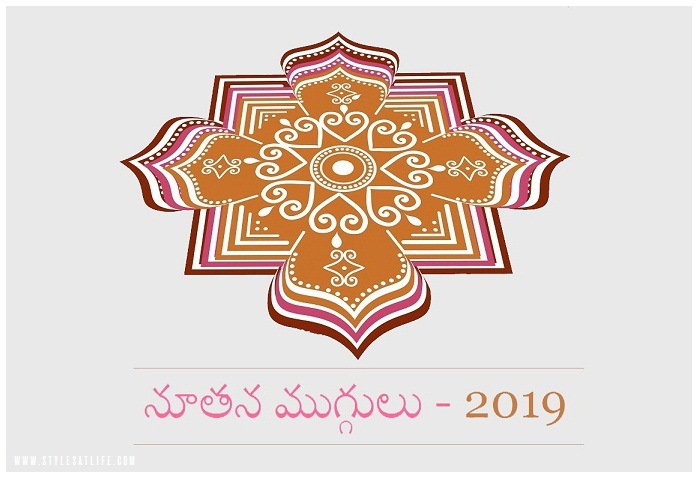 These have different ways of acceptance, with different names, ideas and concept, all over the country and thus even the Telugu people have their own way of making and defining rangolis. Like Tamil people these are also referred to as Kolam designs and they have a definite pattern which is usually followed by the natives of the states. 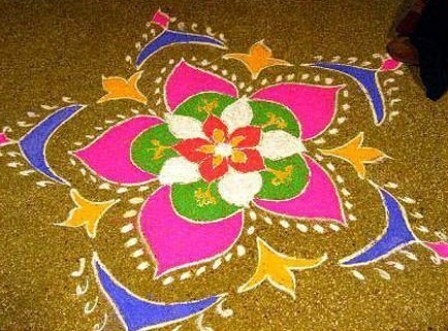 Here we list out some best rangoli designs by Telugu art that make it look so beautiful. Circular patterns have always been common in rangolis. People get a lot of options and variations to put inside the circle and they acts as the best possible outlines. 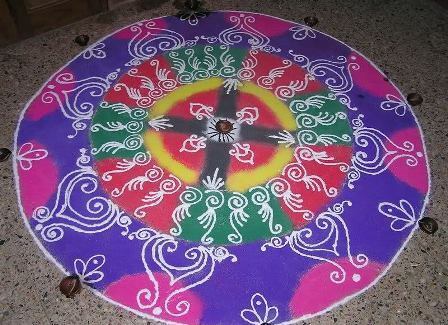 Here we have three layers of circles, one on top of the other, which range from small to big and designed and colored in a colorful manner with rangolis of blue, pink, red, green, yellow, etc. We have a small and a vibrant rangoli in the picture above. There are four faces of bulls drawn in four corners and they have been colored in shocking vermilion color. The bulls have probably been painted as a religious sign which could be as ‘Nandi’ the Bull of Lord Shiva. 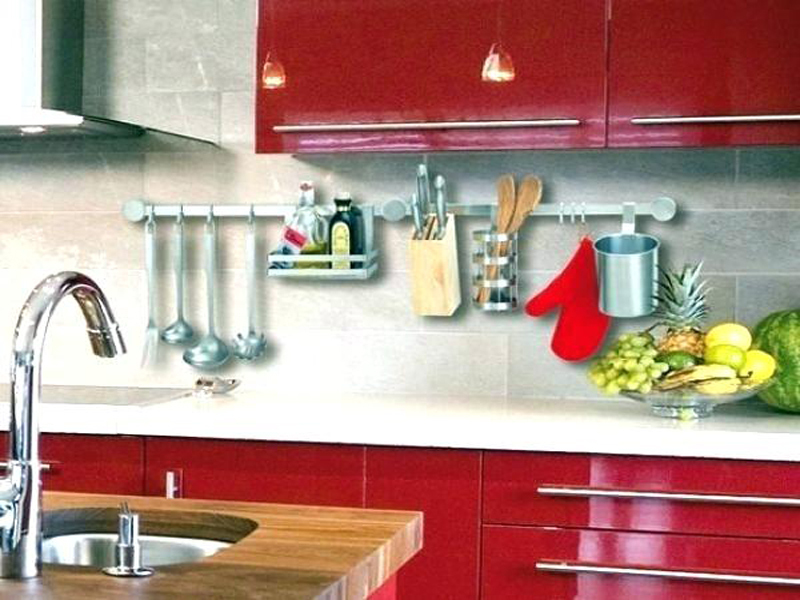 We also see four vase shaped utensils decorated with plants and trees on top. Floral patterns are pretty common when it comes to rangolis and even the Telugu people never fail to adapt this sort of a design. The fine outlines had been made in white base and then colored with bright colors of pink, blue and green. The part in the middle consists of a three similar shaped flowers in three sizes and three colors. 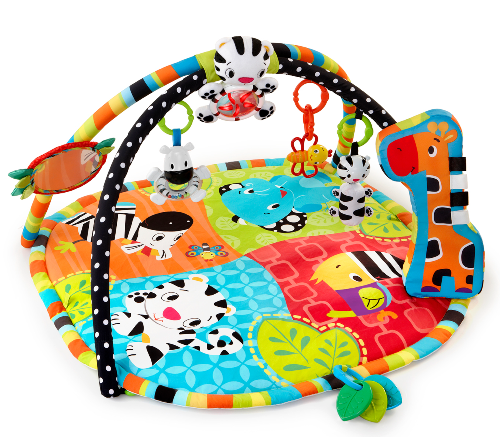 A combination of orange and blue has been made for the outer layer and then decorated with a design of white. It has been then colored in green followed by red with patterns on then, along with a similar portrait of Ganapati we saw above. 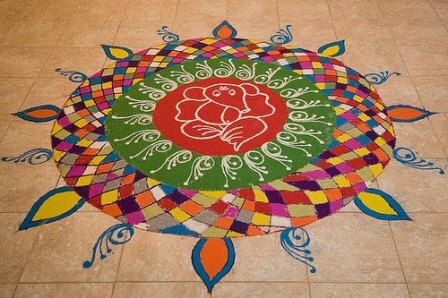 We have a very innovative and colorful rangoli above. 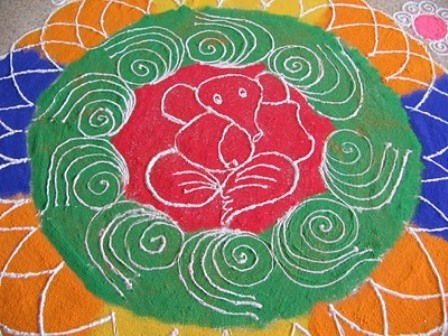 This is a diwali rangoli which has the portrait of Ganeshji in the middle and it has been surrounded with a layer of green paint and white designs over it. The outer circle has been first outlined with black rangoli which made it easier to fill the different colors on the diamond shapes. 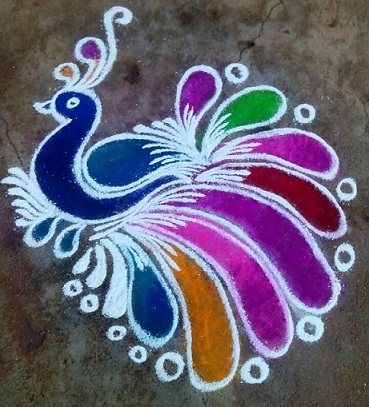 This is a peacock kolam design and it has been beautifully done using the different shades of specific colors. The big rangoli has been chalked out with the borders and the designs and then filled with a blend of pink and purple on the inside. The peacock has been then beautifully done up and the blend of green and yellow on the feathers are commendable. Sometimes we should just try and find the beauty captured in a easy rangoli design. 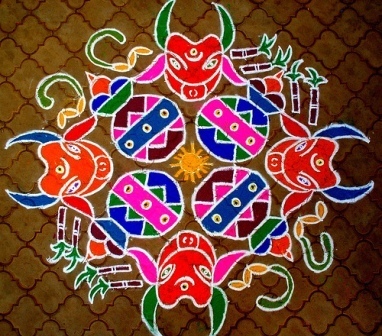 The rangoli we have above shows the typical criss-cross kolam designs, in two sides, and in the middle we have this simple and colorful design. The white outlines are all that has been done and then the diamond shaped portions have been filled with colors different sorts. They look simple and bright. 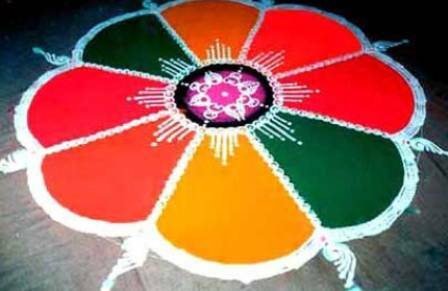 The picture above shows us a big rangoli which has four star shapes one after another and has been colored in four different colors as well. On the outside it has been colored painted and colored with purplish flowers and the white outlines are pretty prominent. 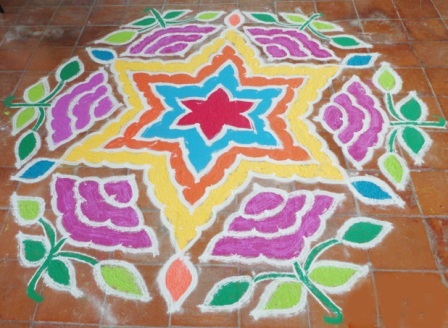 The rangoli has been made with thick outer borders in white and then has been combined with different colors in it petal shapes. It looks vibrant due to the bright colors used and also due to the quantity of rangoli designs.